Manufacturer & Exporter of Stainless Steel 420 Round Bars & UNS S42000 Round Rods, SS 420 Bright Bars, Steel 420 Rods, 420 Hexagonal Bar Suppliers in India. We Neon Alloys are expertise in manufacturing & exporting a vast range of SS 420 Round Bar in different sizes and thickness to suit the requirements of clients. 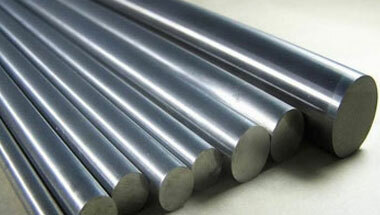 Provided round bar is manufactured with excellent quality of material in accordance with the set norms. Type 420 Stainless Steel provides both outstanding corrosion resistance and exceptional wear resistance. To obtain the best possible strength and wear resistance, oil quench alloy 420 at a temperature between 1800° F and 1950° F.
This SS 420 Round Bar is widely used in application in several industries such as sugar mills & distilleries, cement and construction industries, Textile Industry and Diary Industry Plants. Stainless Steel 420 Round Rods Manufacturer, SS 420 Forged Bar, Steel 420 Hex Bar, Stainless 420 Hollow Bar, UNS S42000 Black Bars Supplier in India. Chine, Nigeria, Iran, Iraq, Australia, Azerbaijan, South Africa, Angola, Kazakhstan, Houston, Ethiopa, Trinidad and Tobago, Dubai, Turkey, Brazil, Mexico, Argentina, Colombia, Saudi Arabia, London, Morocco, Tunisia, New Zealand, Russia, Germany, Indonesia, Africa, Democratic Republic of the Congo, Italy, UK, Egypt, Ghana, Peru, Algeria, Bahrain, Sri Lanka, Mozambique, Vietnam, Kuwait, Jordan, Cameroon, Venezuela, United States, Sudan, Thailand (Bangkok), Canada, Malaysia, UAE, Uganda, Israel. Ouagadougou, Freetown, Soweto, Alexandria, Colombo, Accra, Mecca, Kampala, Kaduna, Maiduguri, Muscat, New York, Douala, Sharm el-Sheikh, Data from the UN, Kano, Bamako, Rabat, Abu Dhabi, Pretoria, Jerusalem, Bulawayo, Casablanca, Istanbul, Giza, Kinshasa, Cape Town, Lubumbashi, Mogadishu, Cairo, Port Elizabeth, Port Harcourt, Mbuji-Mayi, Riyadh, Jeddah, Amman, Benin, Fez, Doha, Hong Kong, Bethlehem, Lagos, Johannesburg, Dubai, Ibadan, Brazzaville, Zaria, Cairo, Khartoum, Byblos, Durban, Addis Ababa, Yaoundé, Beirut, Dar es Salaam, Tel Aviv, Dakar, Aqaba, Lusaka, Omdurman, Singapore, Luanda, Tripoli, Antananarivo, Subra al-Haymah, Kolwezi, Maputo, Harare, Abidjan, Dammam, Algiers, Nairobi, Tehran, Manama, Conakry.